On your commute to work, you probably drive by hundreds of businesses, but how many of them really stand out to you? Sometimes all it takes to catch the attention of a potential customer is a clever sign. Whether this means creating a bright, eye-catching banner, or one with a witty phrase, there are plenty of ways to make your signage stand out! 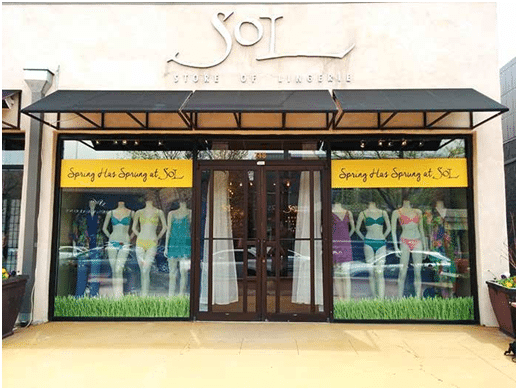 One cost effective way to add interest to your storefront is to add window graphics. These graphics are a great way to dress up your storefront and can easily be changed to match a promotion or the season. 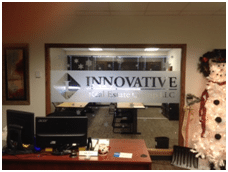 Especially if your storefront windows face a crowded area, strategically placed decal can help you control which aspects of your interior are visible to the outside world. Windows with a bit of covering create a cozy shopping experience for customers, free from the eyes of those walking by. This also creates a bit of mystery about your store, getting potential customers interested in sales and specials going on inside. Window graphics are great for interior conference rooms or offices where privacy is needed. You can brand these areas with your logo. Adding textured vinyl, that gives the look of etched glass, makes the window more interesting and elegant. Perforated vinyl blocks the sun, while allowing you to still see out the window and have light. The light will be filtered and helps eliminate sun glare. People walking outside your business will gain more information about your business as they are walking by. Window graphics on windows are also the perfect way to announce sales, specials or community involvement. Consider your exterior windows as a bill board where you can inexpensively market your products or services. Because window graphics are so affordable and easy to create, you can change them often. Take advantage of the novelty of newness and create a new sign for every season, to promote your deals and engage with potential customers. Looking to purchase some unique window decals for your business? 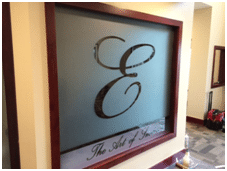 Signarama Colorado will work with you to create exactly the kind of window decal you need. Contact us or stop into our store at 1289 South 4th Avenue in Brighton, Colorado.